As the speckled check-out teen scanned my third block of Lindt (three-for-two special), I looked through the glass doors and out onto the footpath. There was Dave, sitting in sphinx pose, tethered to a bike rack, awaiting my return. Tapping my plastic and grabbing the snacks, I glanced once more in Dave’s direction. He now stood, tail wagging and snout extending towards a woman as light as a leaf. Head wrapped with a scarf, clothes bigger than bedsheets and medical bracelet attached to one wrist, she’d stopped beside him on the footpath. I watched as she reached down with transparent hands, placing them gently on Dave’s face. Not to pat, but to touch, to hold, to cradle. He stood perfectly still, staring up at her. She looked down smiling. Without words or woofs, something was exchanged from pup to person and back again. It was an emotional scene. Luckily, I had chocolate. This kind of thing happens regularly - as I’m sure most pet owners can attest to. 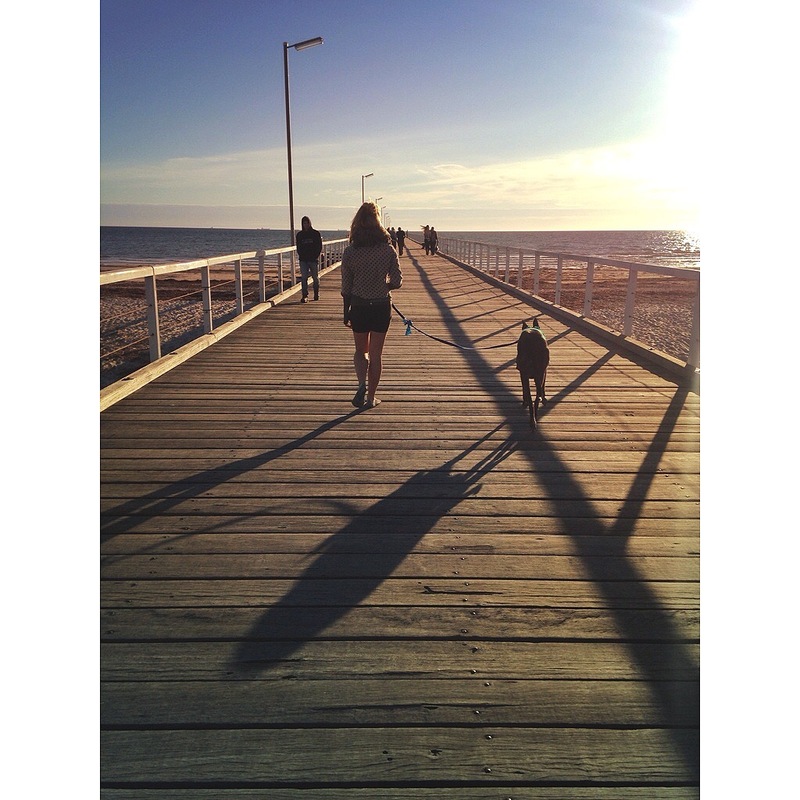 Passers-by delighting in a moment with your dog. Stressed businessmen pausing for a pat and grinning (for the first time all day). The sweet therapy of soft fur. The indiscriminate, unaffected, universal love offered by animals. 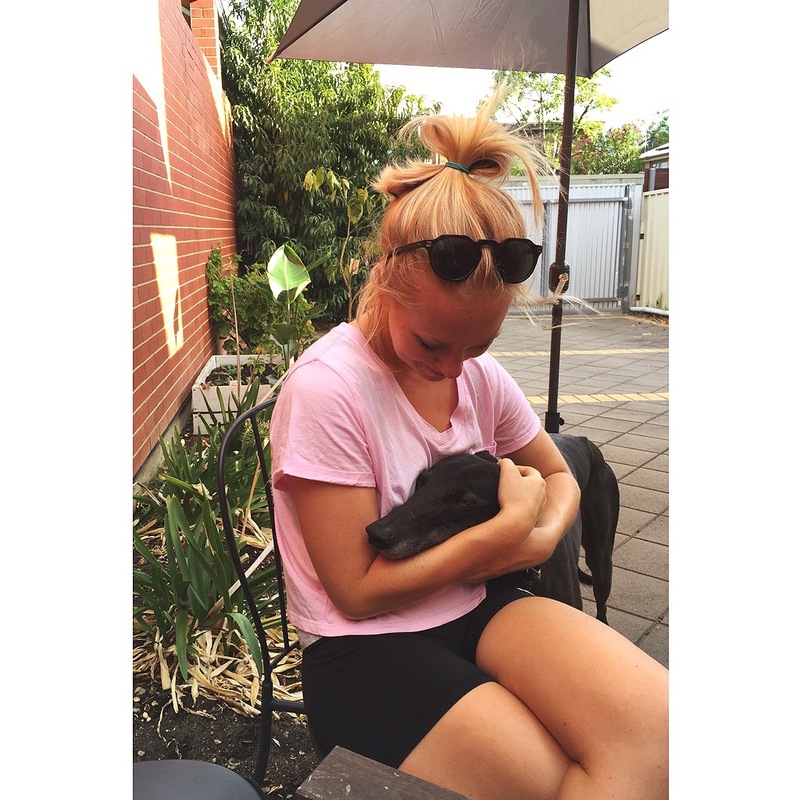 Over the coming weeks, we’re celebrating hounds as therapy here at GAPSA HQ. It’s not just a warm n fuzzy theory, it’s supported by science. As someone who runs their own business and lives by an unconventional schedule, Dave added structure and meaning to my existence. He became my lovable dependant. My accountability coach. The keeper of my sanity. Daily walks - at the same time, passing the same smiling faces - became a non-negotiable ritual; one that nudged me out of bed and into the world, happier and more alert because of it. In leading Dave, Dave led me. 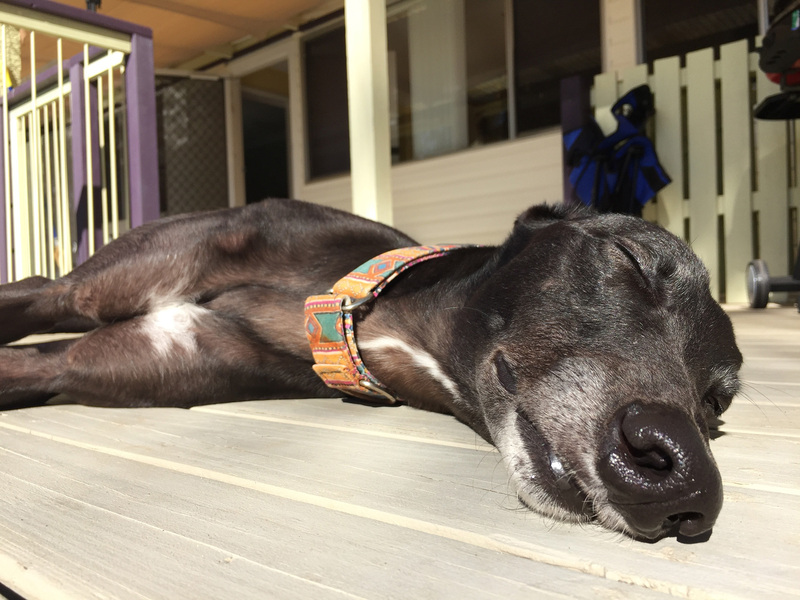 Sharing your life with an animal (especially a greyhound, for obvious reasons) may be the very balm your brain needs. A four-pawed therapist who says little, listens intently, loves much. 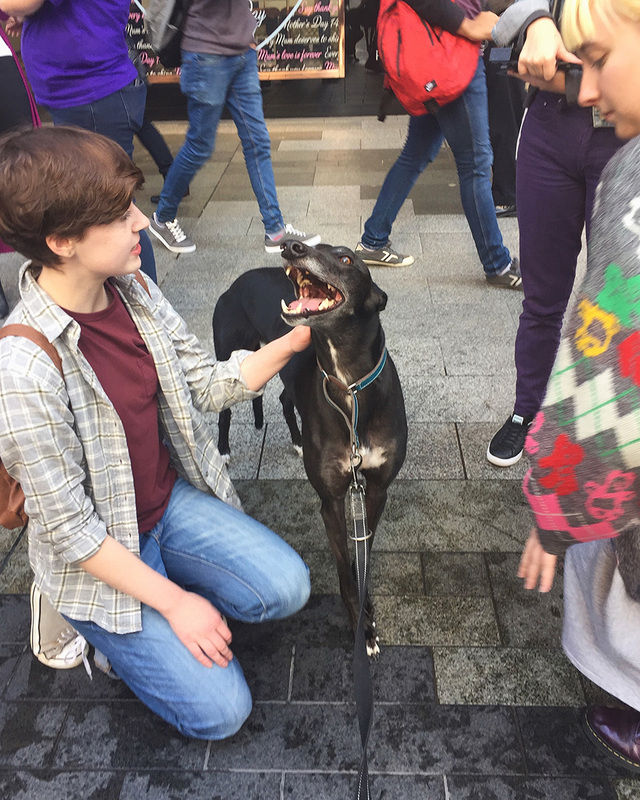 Be sure to come and cuddle the beautiful GAPSA hounds next week in Rundle Mall - and don’t blame us if you leave with zero problems but one four-legged happiness machine, bouncing along by your side.